Automobile accidents occur every day in New Hampshire. 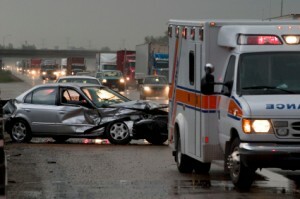 If you have been seriously injured, you need an attorney to fight for you. You need an attorney who is experienced at dealing with the insurance adjusters, investigate the crash and to prepare your injury case. You need an attorney who can file your lawsuit, if necessary, take the at-fault driver’s deposition and present your case to a jury. At Tenn And Tenn, P.A., our auto accident attorneys have such experience. We provide our clients with focused, experienced representation that yields results. According to the car accident statistics released by the United States Department of Transportation, there are more than 6 million car accidents a year. Millions of Americans suffer serious injuries such as brain damage and other catastrophic injuries as the result of negligent drivers. Unfortunately, many of these injuries will become permanent or even result in death. NH law allows personal injury victims to seek money damages from the at fault responsible party. An experienced auto accident attorney will seek compensation for your medical bills, prescription drug costs, lost wages, and pain and suffering. Insurance companies look to maximize their profits by minimizing your payout. Dealing with the insurance adjuster or insurance company’s attorney is best left to a skilled plaintiff’s lawyer. Our New Hampshire accident attorneys will develop and present your case to fully reflect all your damages and losses, in an effort to provide our clients with full compensation for their injuries. And, if your loved one passed away due to their injuries, we will represent the decedent’s estate. At Tenn And Tenn, P.A., we represent automobile accident victims each and every day. If you have been seriously injured, we are here to help. If that means we have to take your automobile accident case to trial, then we will. As always, we will do our best to obtain the best possible settlement or verdict for money damages as permitted under the law. Our experienced New Hampshire auto accident attorneys can be reached at 603-624-3700.